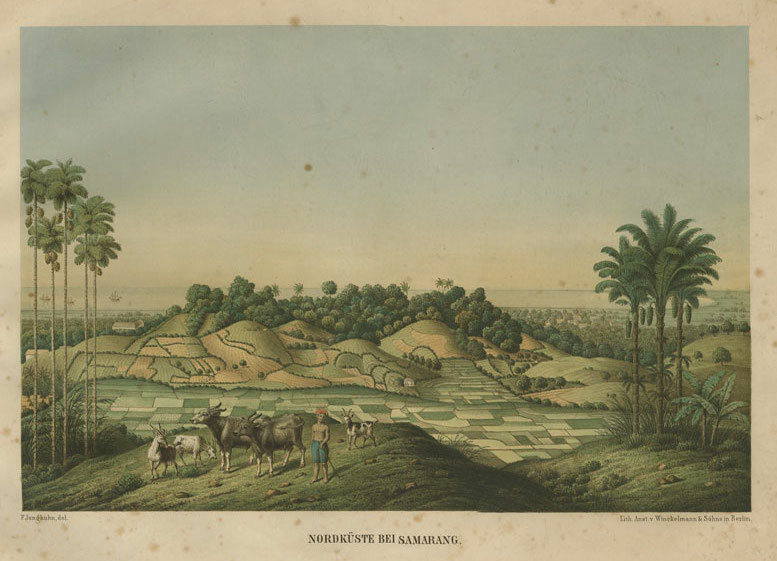 A rare and beautiful coloured lithograph of the Nordkuste bei Samarang (North coast of Semarang), Java. The print is from one of two German editions of the drawing of Franz Wilhelm Junghuhn (1809-1864), a German doctor, naturalist, explorer and French Foreign Legion surgeon who spent many years in Java. Condition: Good, some foxing, mostly outside the image.